Barcos Singulares sold the Six Metre International “Gobio”. Her new owner is a a naval carpenter from Palamós (to the North of Barcelona). He intends to restore her to her original conditions and to participate to the class regattas so much in vogue nowadays in Spain. 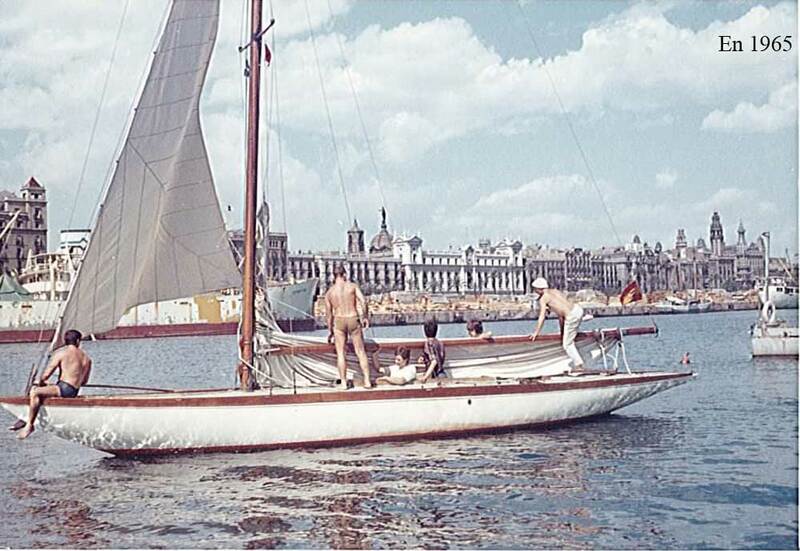 The Gobio was built at the Chantiers de la Hève the same year as the Aile VI, the next to last Eight Metre of Virginie Hériot and her most famous. The Aile VI was a real novelty among the drawings of Naval Architect Arbaut, the owner of Chantiers de la Hève (Le Havre, France) and it is possible that the “Gobio” incorporates the same distinctive design.